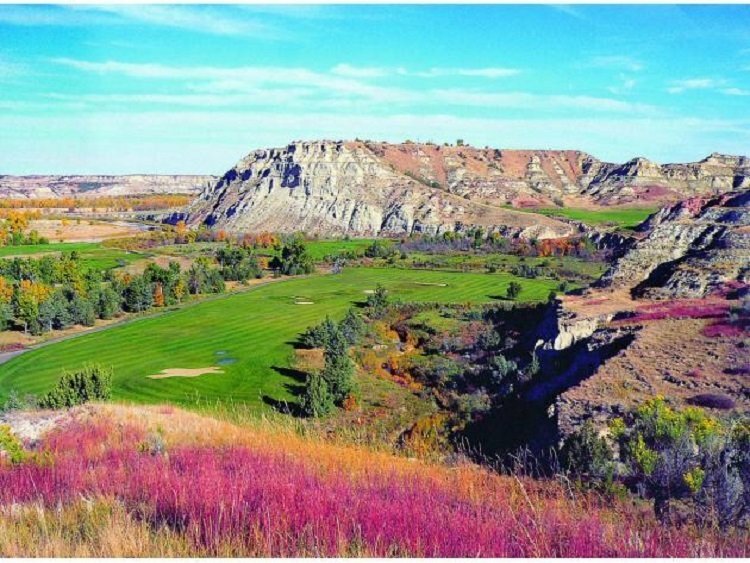 North Dakota offers plenty of wide-open spaces, including some of the fairways on local golf courses, like Bully Pulpit Golf Course, two miles south of Medora. This 18-hole course has received numerous national honors, including being named “One of America’s Top 100 Public Courses” by Golf Digest in 2013 and 2014. Set in the North Dakota Badlands, this par-72 course features five different tee boxes and is 7,166 yards at the tips. Highlights of Bully Pulpit Golf Course are no doubt the three signature holes. Dubbed “The Badlands Holes,” this picturesque stretch on the back nine includes holes 14, 15, and 16. Teeing off on the top of a butte with beautiful scenery to boot, you won’t soon forget this golfing experience. In the clubhouse, don’t miss the Transportation Museum. Open to the public free of charge, the museum interprets Theodore Roosevelt’s involvement in the building of the Panama Canal, and features a 45-minute video presentation on this monumental project. Just two miles south of the golf course is Sully Creek State Park. 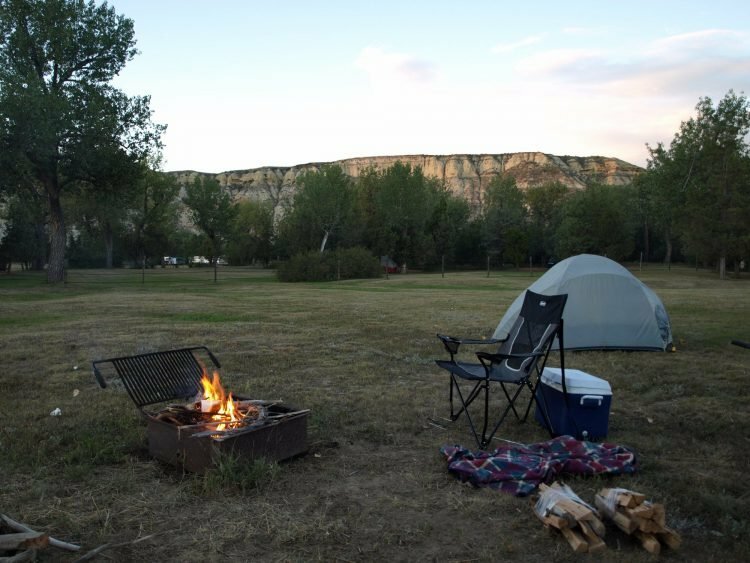 The park offers 37 sites, and is a dry campground. The pay shower facilities are more than adequate, as are the vault toilets. Sully Creek State Park encompasses 80 acres and includes other amenities like well-spaced RV sites, horse corrals, potable water, an RV dump station, canoe access to the 274-mile long Little Missouri River, as well as access to the 120-mile long Maah Daah Hey Trail, which traverses the Little Missouri National Grassland. The Maah Daah Hey Trail is frequented by horseback riders, mountain bikers, and hikers. Sully Creek Campground. Photo via TripAdvisor. After golf, there are several interesting attractions to consider. In addition to the numerous trails and other outdoor activities, don’t miss Medora Musical. Set in the outdoor splendor of the rugged North Dakota Badlands, Medora Musical offers an incredible nightly western-style show that the New York Times last year designated as the number five place to visit – in the world! This high-energy production is dedicated to the legacy of Theodore Roosevelt, the 26th President of the United States who spent some time in the Badlands. He visited the Dakota Territory in 1883 to hunt bison. Roosevelt could not have imagined how his adventure in this remote and unfamiliar place would forever alter the course of the nation. The rugged landscape and strenuous life that he experienced here would help shape a conservation policy that we still benefit from today. For more information, check out Bully Pulpit Golf Course on Medora.com and Sully Creek State Park on Campground Reviews.